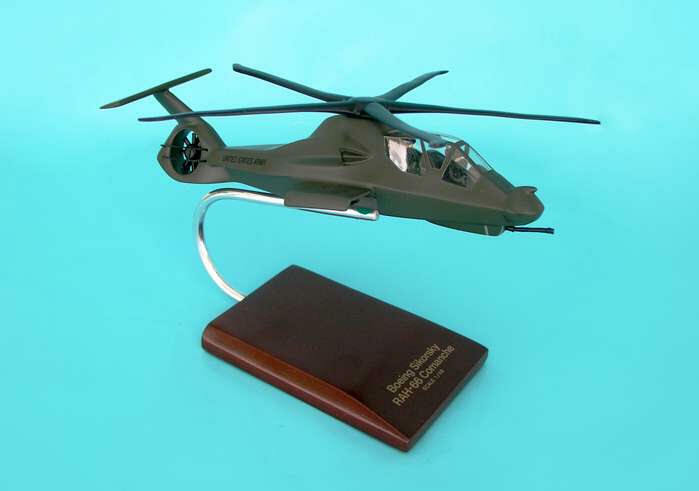 Length: 11 1/2" R/S: 9 3/4"
The Boeing/Sikorsky RAH-66 Comanche was an advanced U.S. Army military helicopter intended for the armed reconnaissance role, incorporating stealth technologies. It was also intended to designate targets for the AH-64 Apache. The RAH-66 program was canceled in 2004 before it was fielded.